Richard Evans is one of the most colourful and flamboyant characters on the British brass band scene today. With a unique ability to instil pride and passion into every player, he is ultimately the driving force behind each band he conducts. Born in Aldershot, the son of a regular soldier, he spent his first two years of life in India. On return to England, the family moved to Preston Lancashire. It was in nearby Leyland that he was introduced to the cornet with the British Legion Band. Within three years Richard was one of the founder members of the National Youth Brass Band, becoming principal cornet under the direction of the late, great Harry Mortimer, OBE, CBE. Leaving his first band, he moved to the Leyland Motors Band (the original forerunner of the now Leyland Band) and studied under founding fathers Harold Moss and William Haydock. National Service took Richard to Berlin, and on return to civilian life, he spent two years with the Black Dyke Mills Band. However, it was in the art of conducting that Richard was to carve a brilliant career. Upon graduation from the Royal Northern School of Music, he began full time teaching and worked as a freelance trumpet player with the BBC Northern Symphony Orchestra. While conducting Wigan Cecilian Choral Society, he was asked to audition for the position of Musical Director with the Wingates Temperance Band. He accepted the position and within three months he had won the British Open Championships at his very first attempt! 1976 saw him moving to the Fairey Engineering Band, continuing to gain a reputation for flair and innovative musical direction to the highest standard. At the beginning of 1978, Richard was recruited to rebuild the Leyland Vehicles Band with the specific remit of achieving Championship status within three years. He now has strong connections with many Bands, including the world famous Brighouse & Rastrick Band as Associate Conductor. He was appointed visiting Professor of Brass to Senzoku Gakuen College of Music, Tokyo. 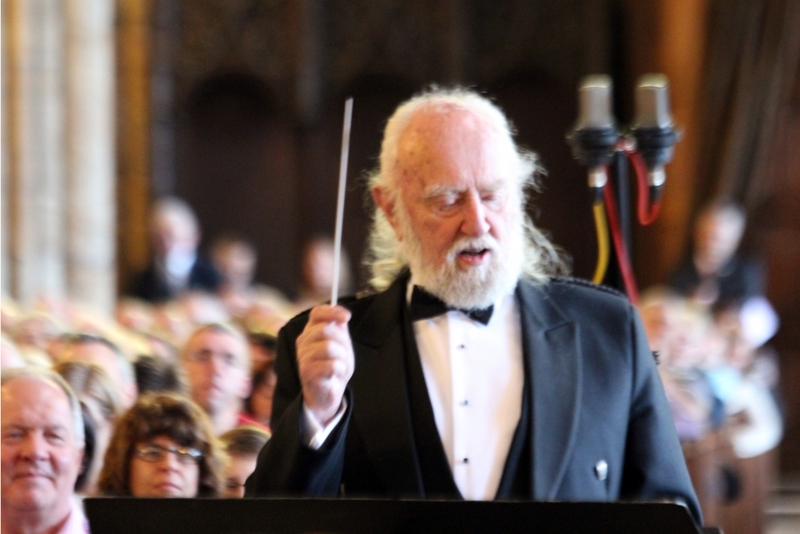 Richard’s prowess as conductor, teacher, adjudicator and movement leader was rewarded in 1986 when he was the recipient of the J. Henry Iles Medal presented by the Worshipful Company of Musicians of the City of London, and he is now a Freeman of the City of London, admitted in 2010. He has worked with bands all over the world, Japan, USA, New Zealand, Australia, Norway, Switzerland, Holland, Belgium and Denmark. He proudly held the post of Musical Director of the National Youth Brass Band of Scotland for 21 years and is Musical Director Emeritus of Leyland Band.